I'm so excited to try this method for stretching my hair in a heatless fashion. African Threading or 'Nwele' (which means 'hair' in Swahili) originated in African for a safe way to stretch hair for wearing and styling. 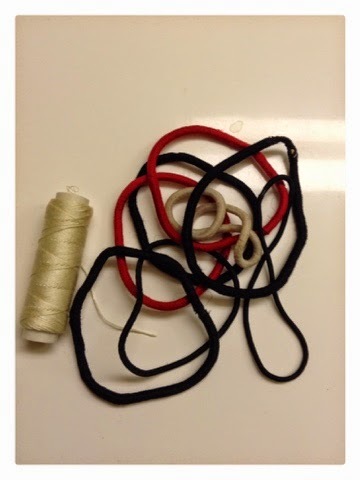 Sewing or weaving thread is used to stretch tightly coiled hair to its maximum length. I used ponytail holders and thread for a modified version, since it was a bit tough to wrap my roots with the weaving thread. Start on freshly washed and conditioned hair. Air-dry until hair is about 80% damp. Measure the thread about 3 times the length of your hair - My hair is at Arm Pit Length, so I measured from head to hip 3 times. With the first section, snugly (I didn't say tightly to wear it hurts) wound the thread a few times around the roots and twist around that section of hair until you reach the bottom. Detangle along the way when needed. Once you reach about 1/4 inch of the end, stop. Secure the thread by knotting ONCE in a bunny loop or a regular knot around the hair section - Once completed, I added oil to the ends. 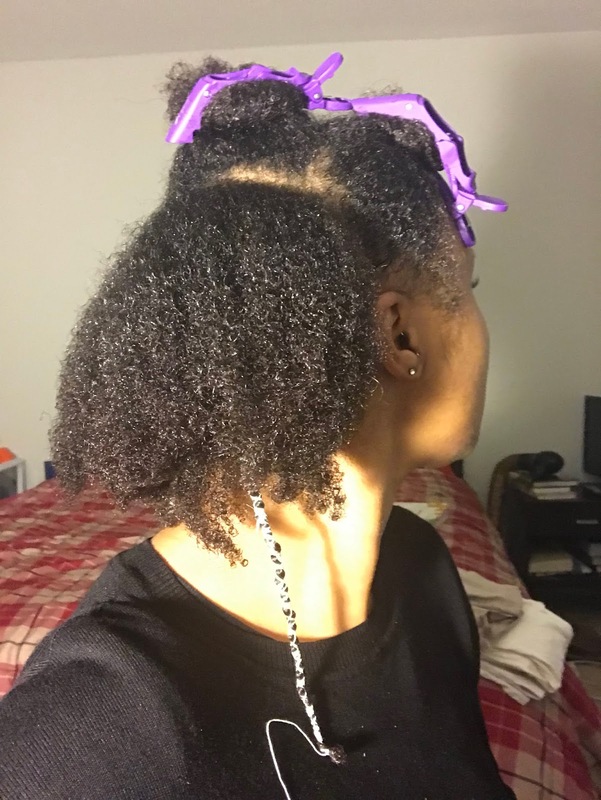 I absolutely love my shrinkage, but I can dig the blow out look! I use this process at least 4 times a year when I want to get a full stretched look without using a blow dryer. Natural hair says: if you are looking for a heatless way to stretch your hair or get the blow out look, try African Threading! It's easy and definitely something to try.